Patsy Louise Hockett, 74, of Ohio City, Ohio, passed away on November 25, 2018, at her home, surrounded by her loving family. She was born March 3, 1944, in Abbs Valley, Virginia, to the late Samuel Franklin and Ethel (Britt) White. On January 22, 1963, she married Dennis Hockett, and he survives. Patsy was a homemaker, and loved raising her four children. She had lived in the area for the past 22 years, coming from Vandalia, Ohio. 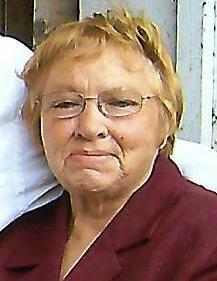 She was a member of the Abounding Grace Ministry Church, north of Celina. awaiting the birth of her great-grandaughter, Olivia Louise Davis.